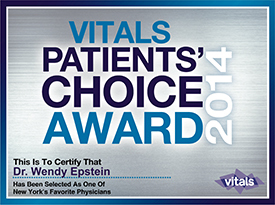 Cosmetic Dermatology Treatments Offered - Wendy Epstein, M.D., F.A.A.D. 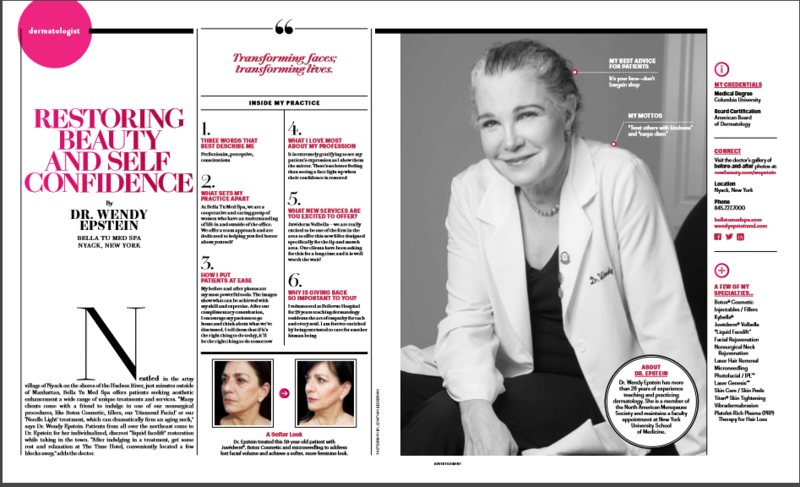 Dr. Epstein pioneered The Liquid Facelift which brings together the two most powerful anti-aging weapons in the dermatologist’s arsenal. 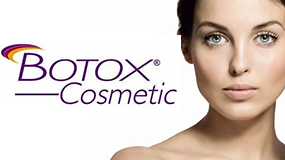 The botulinums–like Botox–dramatically reduce the appearance of facial wrinkles in the forehead, crow’s feet around the eyes, and the “scowl” lines between the eyebrows. Fillers, for example, Voluma, Vollure, Juvederm XC, and Volbella, can lift up sagging jowls and eyelids, fill in dark hollows under the eyes, eliminate the appearance of bags under the eyes, fill in bony, gaunt ho llows of the cheeks and temples, restore a lost sunken chin and sculpt cheeks for elegant appearance. Fillers can also reduce or remove furrows, wrinkles and folds caused by loss of both the skin’s natural elasticity and volume that comes with aging. 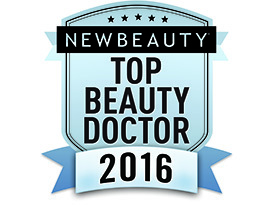 Now Kybella can remove fat from under the chin. 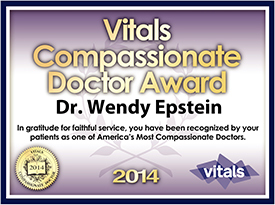 Dr. Epstein is very sensitive to the comfort of her patients. She is among the first dermatologists to use a new method for placing fillers, substituting micro-cannulas for sharp needles. The smooth, blunt tip flexible cannula gently pushes sensitive tissues aside so as not to disturb them. The result is minimal-to-no bruising, little discomfort, and a much faster, more gentle recovery. Dr. Epstein performs all procedures herself. No two faces are the same on the outside, and no two faces are the same below the surface. Dr. Epstein carefully studies your facial anatomy with the eye of a scientist and artist. Then she discusses both what concerns you have, and what she observes she can do for you before deciding on a treatment plan. This approach enables you to participate in pl anning your transformation and monitoring your progress. 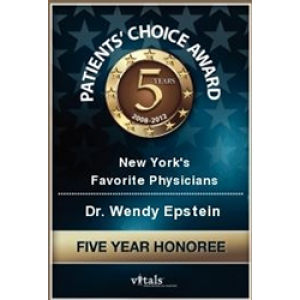 Dr. Epstein’s goal is always to achieve the best improvement for the longest duration, tailored to each patient’s needs for discretion, budget and timetable. Enjoy state of the art medical care in an exclusive, private setting. A Consultation allows you to discuss what you hope to achieve and what Dr. Epstein feels you can expect. Then you are encouraged to take your time and think about what is right for you.